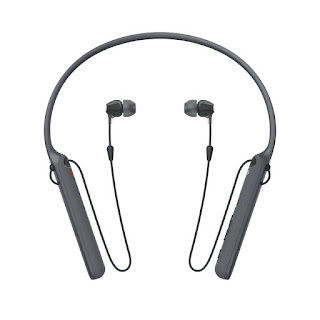 Back in May of this year, I posted an article about a pair of upcoming wireless headphones from Sony, the WI-C400. I thought these were the production version of the prototype from CES, but I was wrong. Unfortunately Sony did not mention the C400 model in the IFA press releases, so it surprised me today when I saw the C400 on the Sony website. 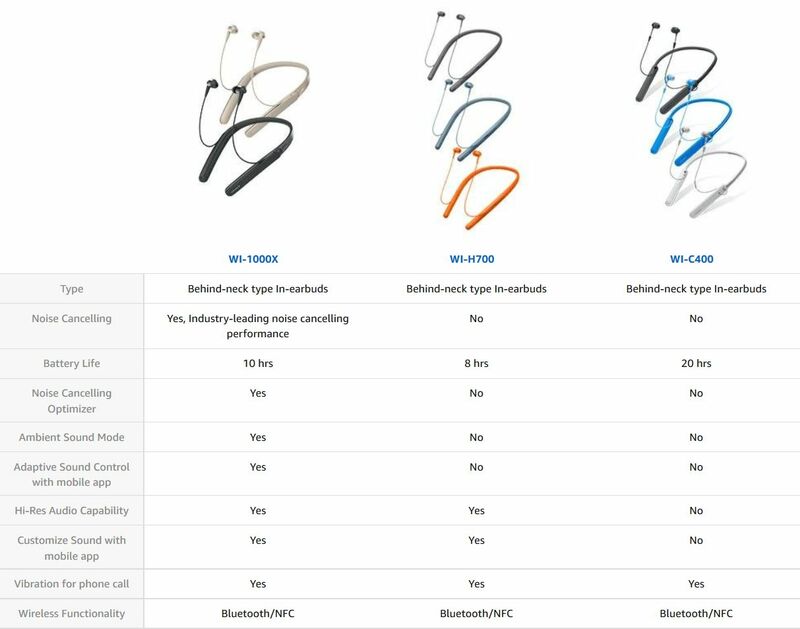 In addition to the WI-1000X and WH-H700, Sony will be releasing a 3rd behind the neck wireless headset, the WI-C400 which I posted about back in May of this year. I stumbled upon the new headset on Sony's website and on Amazon, so might as well post up an article. When compared to the WI-1000X and H700, the C400 does lack some of the higher end features but does have the same vibration alert in the back for calls and features up to 20 hours of battery life is easily twice as much as the other headsets. Such a long battery life is perfect for those who like to listen to music and talk a lot on the phone. The C400 will be available in 4 different colours, black, white, blue, and red (not all colours will be available everywhere), price will be 69 Euros/65 Pounds/69 USD. NFC is located on the right hand side, with the controls located on the left. 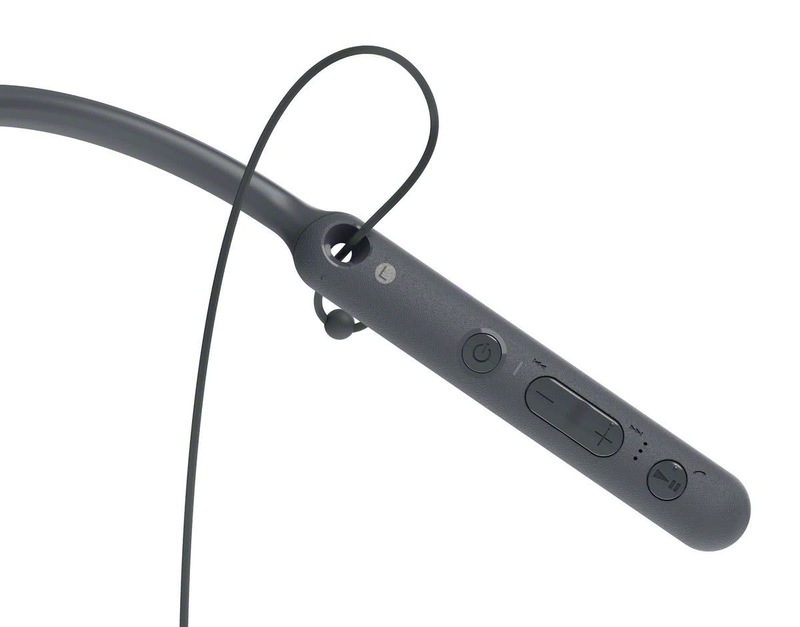 A unique cable management system allows individuals to lengthen or shorten the earpod cables, helping cut down on cords catching on something. A 9mm driver unit is found in the earpods but unfortunately high res sound is not supported here. Bluetooth 4.2, NFC and a micro-USB port for charging which is found on the left side. Like I mentioned above, battery life is rated at 20 hours and a 15 min charge yields 60 minutes of use, full recharge 4.5 hours. When the battery is depleted, a red light on the left side will appear and turn off once the device is fully charged. In addition there is support both for Google Voice and Siri. There is no availability date on Amazon currently, but this should arrive before end of September most likely. Here is a quick comparison with the other devices. I'm not an audiophile so the much cheaper C400, with its long battery life appeals to me. However, the sales rep in the store told me it's not sweatproof. I find it hard to believe that a bluetooth earphone won't be sweatproof. Is this really the case? 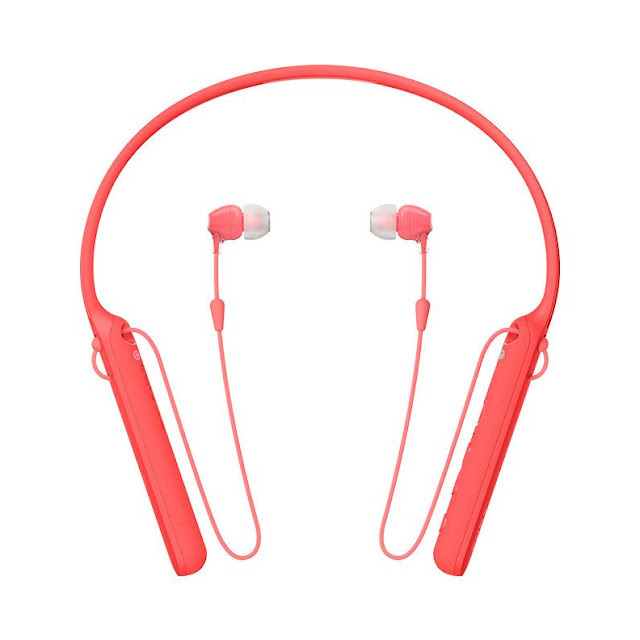 I think it is not rated as a sport headphone and the earbuds won't fit securely if you run or do other stuff. 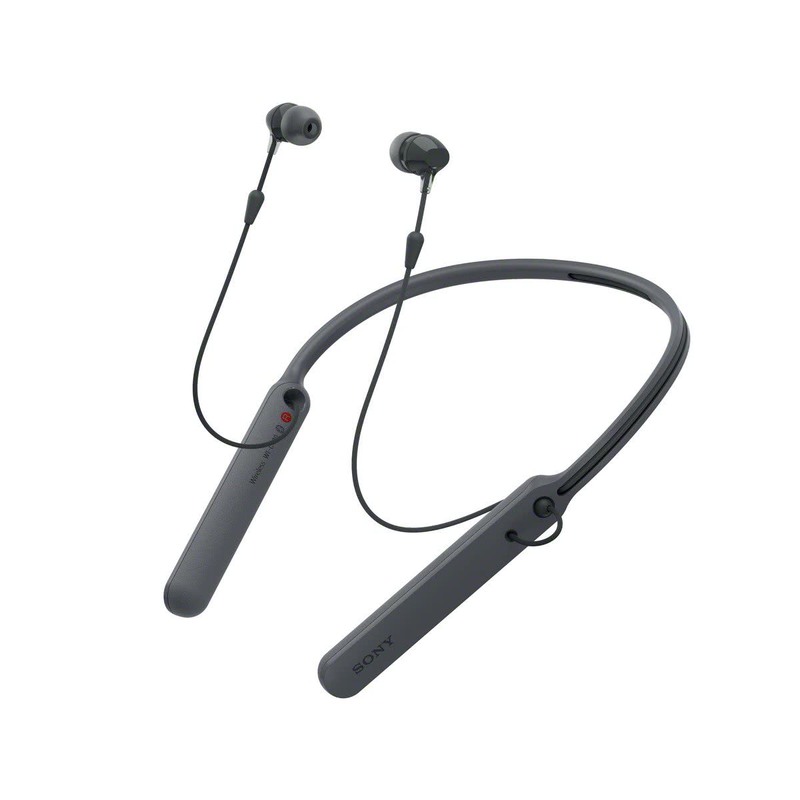 You can pick other neckband Bluetooth headphones like Samsung Level U.